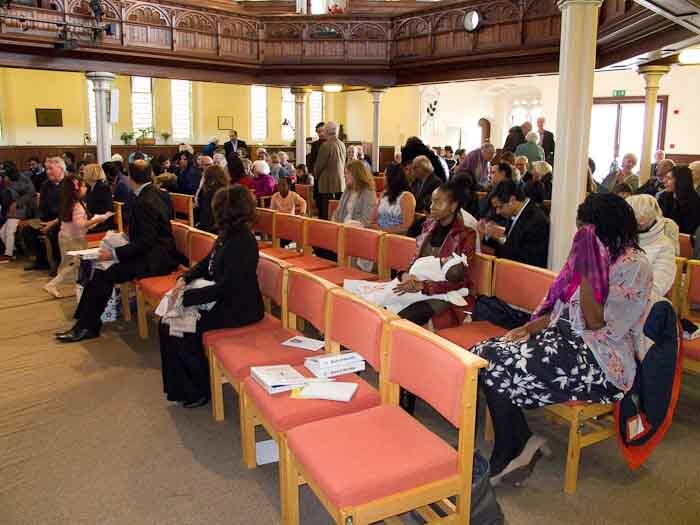 The various Christian denominations in the Clarendon Park – Stoneygate area of Leicester get together through the South Leicester Christian Partnership and we are beginning to establish links with the other faith communities in the area. 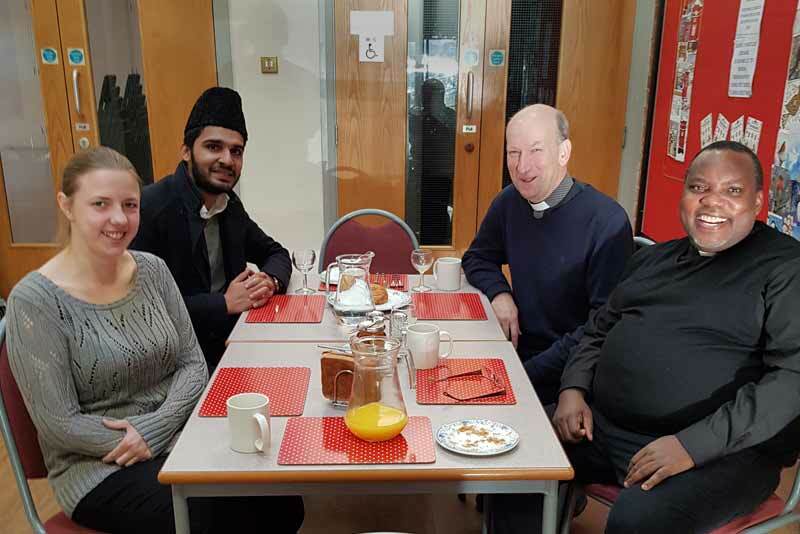 Last week our minister (Rev Edson Dube) shared breakfast with Rev Leigh Greenwood from Stonegate Baptist Church, Imam Latif from the Baitul Ikram Mosque and Rev Derek MacLean from the Methodist Circuit. Just realised that the 2017 annual report han’t been uploaded, although it was submitted to the Charity Commission last November! Still, better late than never, it’s there now, on the ‘About the Church page‘. 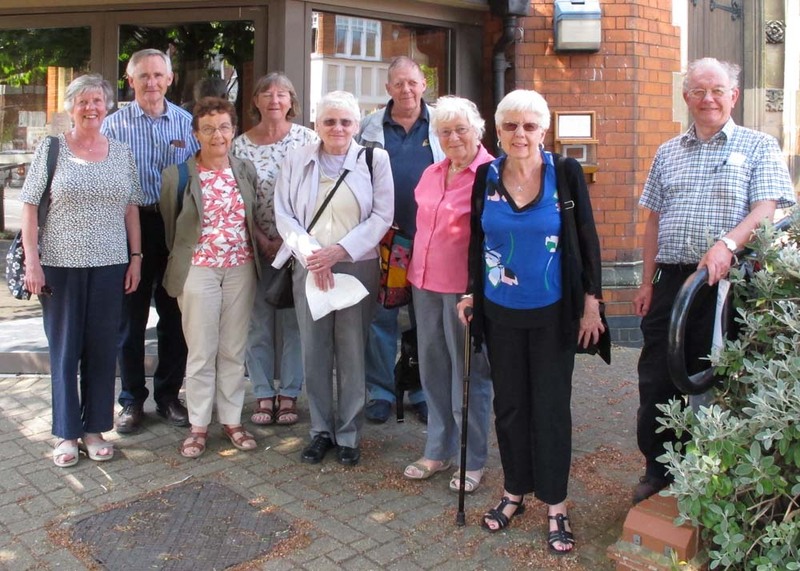 A group of former Leicester University students who graduated in 1968 visited Christchurch this week. They were all members of the University Methodist Society (Methsoc) and worshipped at what was then Clarendon Park Methodist Church. 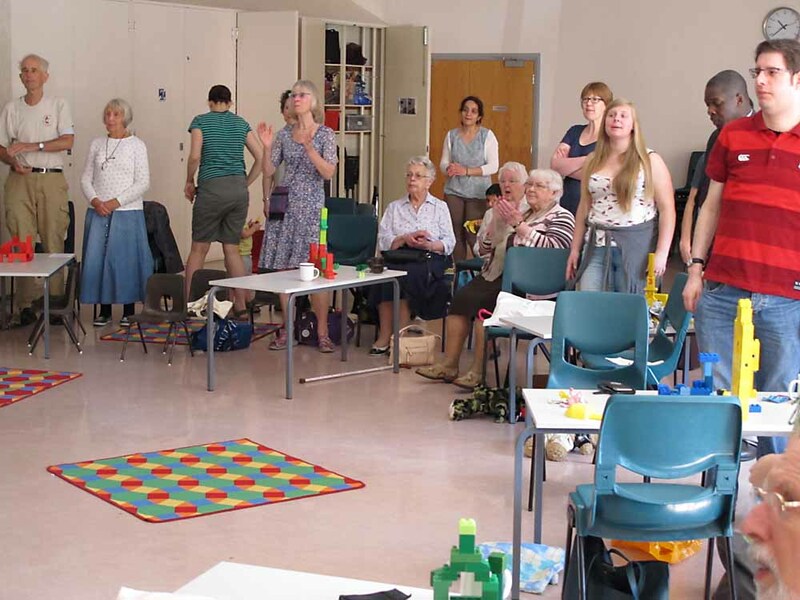 They had a lovely sunny day for their reunion and were very interested to see the changes made to the church buildings and hear about what we are doing now. 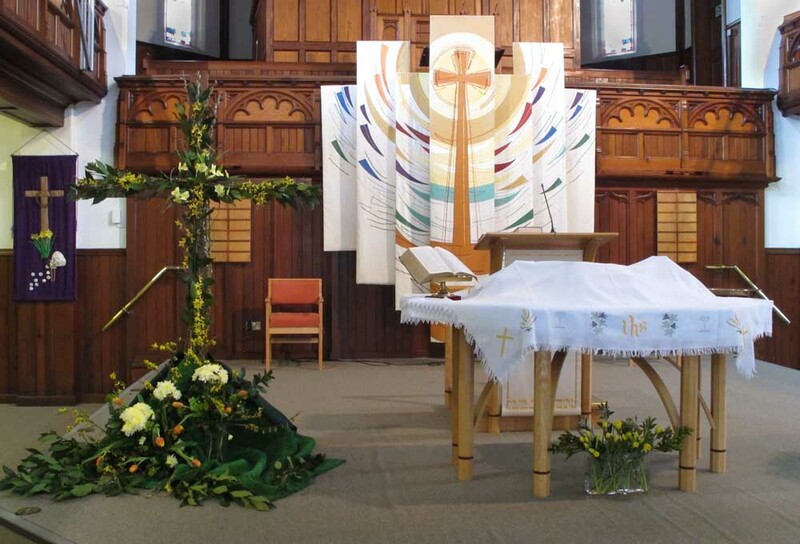 Christchurch still provides a place of welcome and support to students although Christian societies in universities have declined dramatically since 1968. 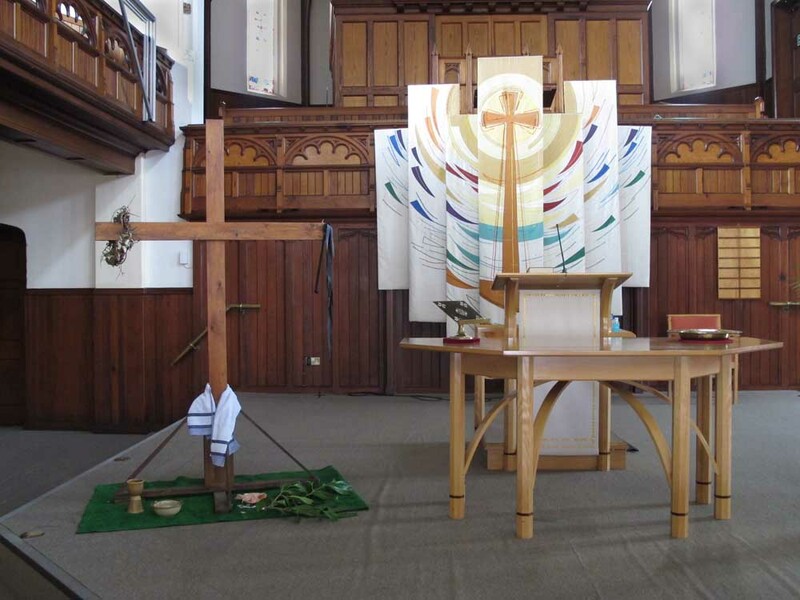 The old denominational societies (Methodist, Anglican, etc) have all disappeared but the Christian Union is still active as is the chaplaincy in the Gatehouse. Last Sunday Martin was welcomed into church membership by our minister Rev Edson Dube. 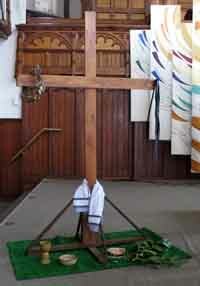 In the season of Lent which is just coming to an end, we ‘Dress the Cross’. 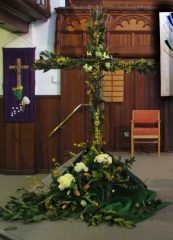 Each Sunday an article is placed on or by the cross, symbolising the events of Christ’s last days before his crucifixion. In yesterday’s morning service we celebrated an infant baptism conducted by our minister Rev Edson Dube. The child’s parents, grandmother and five other people were also received into membership. As they were all Christians who have come to live in Leicester and are now worshiping with us, this was a simple welcome ceremony. It was a very joyous occasion made more so by the presence of over 50 visitors come to support the baptism. 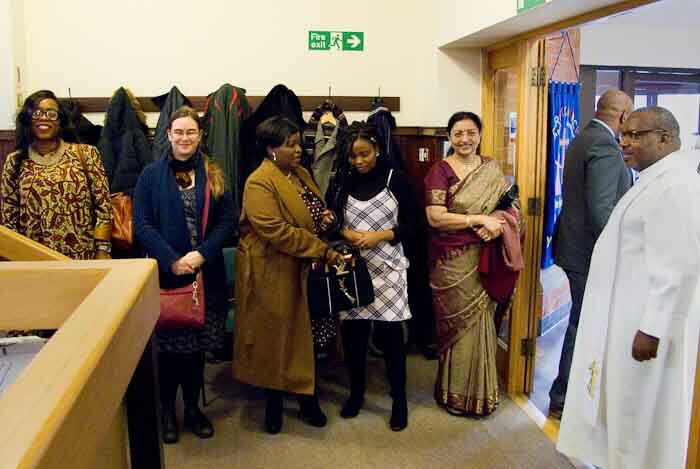 The service was followed by a big party in the hall afterwards. Even the weather was good, with a fine sunny day – until it snowed in the afternoon. 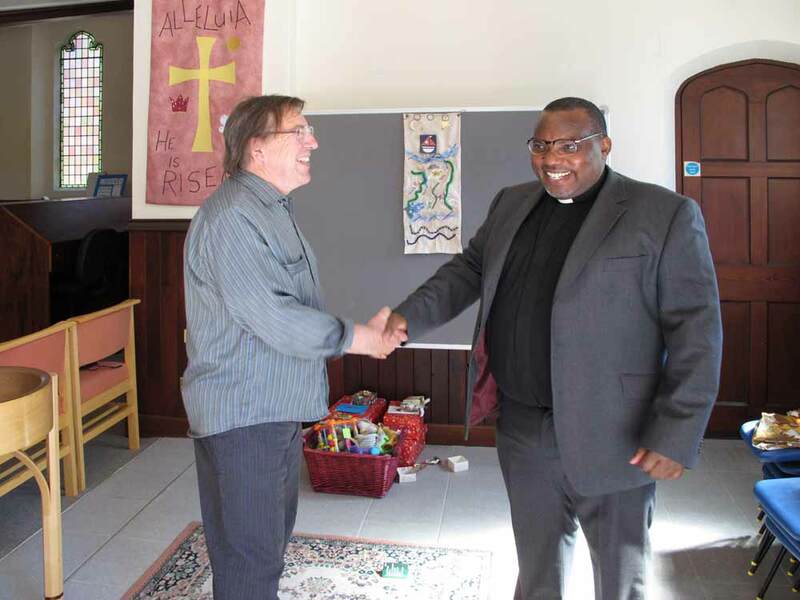 Last week was One World Week and on Sunday our minister, Edson, who comes from Zimbabwe, gave us an interesting account of the Methodist Church in Zimbabwe. Here is a link to his presentation. Some of the slides don’t convey much as they were just headings which he spoke about, but others are really interesting. A new floor doesn’t sound very spiritual, but first impressions are important and we want people coming into Christchurch see that we care for our church. 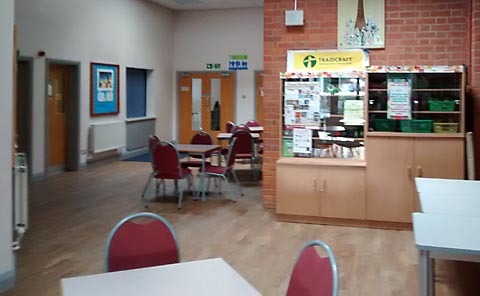 The premises are very heavily used and the footfall, not to mention children’s buggies and spilt food and drink, made it impossible to keep a carpeted area clean. I’m sure Jane, our cleaner, will appreciate it, and the new floor really does look good. The work was done by Mitton’s, next-door.